For the past few years I’ve been pretty obsessed with 3D printing. I’ve read through forums (reprap.org), followed blogs, hung out on irc (#reprap, #makergearv2, #mendelmax) and tried to learn as much as I possibly could about these awesome devices and the massive potential I see in them. I’m technically a programmer by trade and so the idea of designing something on my computer and then “printing” it out is very attractive. It would allow me to leverage CAD (both normal and programmatic CAD) and do iterative design. This last month I decided to put some money towards actually getting real hands on experience with these devices and after a lot of agony I decided to go with two kits that I felt provided me with the greatest chance of successfully completing my builds quickly and ending up with something that would be satisfactory and give me some real life experience. I chose for my CNC milling machine the Shapeoko (shapeoko.com) and the Printrbot. The milling decision wasn’t that difficult. I tried to build a Mantis mini mill earlier this summer but ended up getting stalled around building the chassis (my hand cut parts just were not square enough) and while I had some friends offer to mill out the design for me, we never managed to sync up to get it done. I also looked at and purchased the mini mill designs from http://solsylva.com/ (which were amazing) but at the time the final build price (after exhaustive web searching for parts) was still almost 300 for the frame and another 2-300 for the electronics to power it. Being a poor grad student with a family I really couldn’t commit that kind of cash towards a hobby at the time. My decision to build the Shapeoko mill was based on three main factors. One, the posted bill of materials was about 350$ for a complete machine. 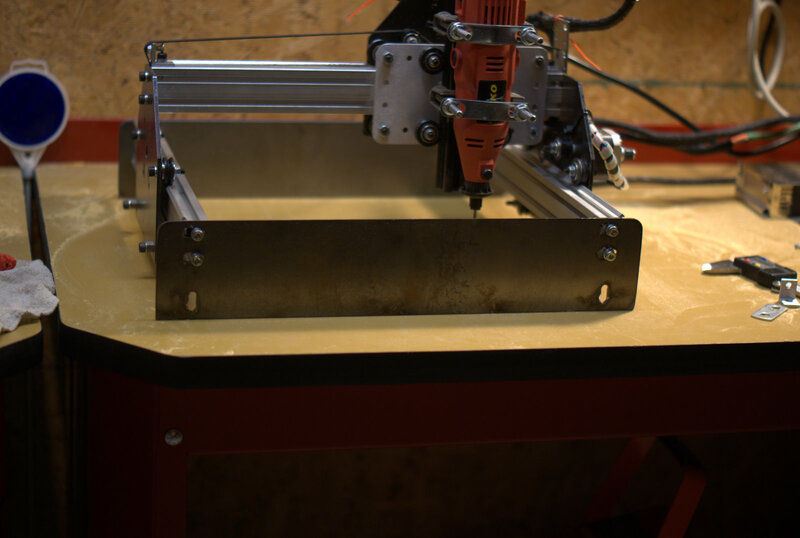 I’d looked at mydiycnc.com but their bot was 445 + shipping and while their design looked promising the Shapeoko used Makerslide. The use of Makerslide clinched the deal for me as I’m playing with designing a powder printer that uses Makerslide, so wanted to actually build a bot with it first and was cheaper and used a familiar electronics platform (Arduino). 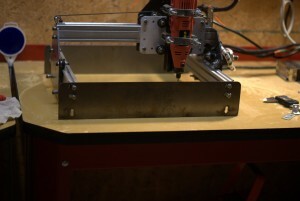 I will be posting to my blog and buildlog.net my experiences building the Shapeoko. The Printrbot was even harder to pull the trigger on and while I’m happy I’ll be getting it a strong motivation behind purchasing it is no longer there (timing). I have an idea brewing in my head and scrawled all over a notebook for a start-up I’d like to do and was hoping to get some hands on 3D printer experience done before the deadline for a local start up accelerator came but now it is looking like I won’t be able to participate in the program due to scheduling conflicts. That said, I’ve been looking at 3D printers for a long time and still feel that the Printrbot is a good first build. I recently fell in love with the MendelMax, which is an amazing design for an aluminum extrusion based Prusa, but self sourcing it was looking at 900$+ and buying a kit from the designer was 1100-1200 so a little steep for my purposes, maybe my next printer will be a MendelMax. I also seriously considered the MakerGear Mosaic and the MakerGear Prusa kit. Other options were the MixShop Prusa kit but since they don’t even have a picture of a working printer up I wasn’t so sure about that (looks like they’ve updated their site with video and pics, oh well). Lulzbot (which is located north of me in Loveland) has parts but for my first 3D printer but I wanted a complete kit. 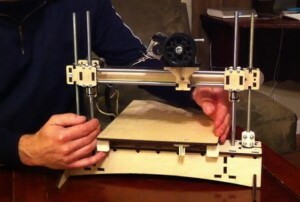 I also really wanted to get an Reprap Pro Huxley but didn’t put together the money in time for their latest campaign. For me it all came down to cost. Ideally I’d love to have an Up!, Ultimaker or a BFB3000 (though a friend didn’t like his so much) along with a nice mini Shopbot but for trying to get everything I want for under a thousand dollars I had to make some hard decisions. Ultimately, for someone like me who wants something that “works” who also wanted both a 3D printer and a CNC mill I think the two kits I chose are the best options for me (at the time, things always change). I’d also priced out a decent Prusa build for about 700$ delivered but without any local Reprappers I didn’t want to risk not finishing because I “missed” something or couldn’t figure it out. If you are considering a 3D printer/Mill yourself I’d strongly suggest you ask yourself what your end goals are and how much cash and time are you willing to spend. I think I made a good decision, but with most things in life yo usually only know what the good decisions would have been after you make a few wrong ones. We’ll see how things turn out with the printrbot and the shapeoko. Next story Waiting for parts…. hack something else!